"Winter Walk" -- It may be March and spring in some areas of the world but at my house it is the time for the biggest snows. 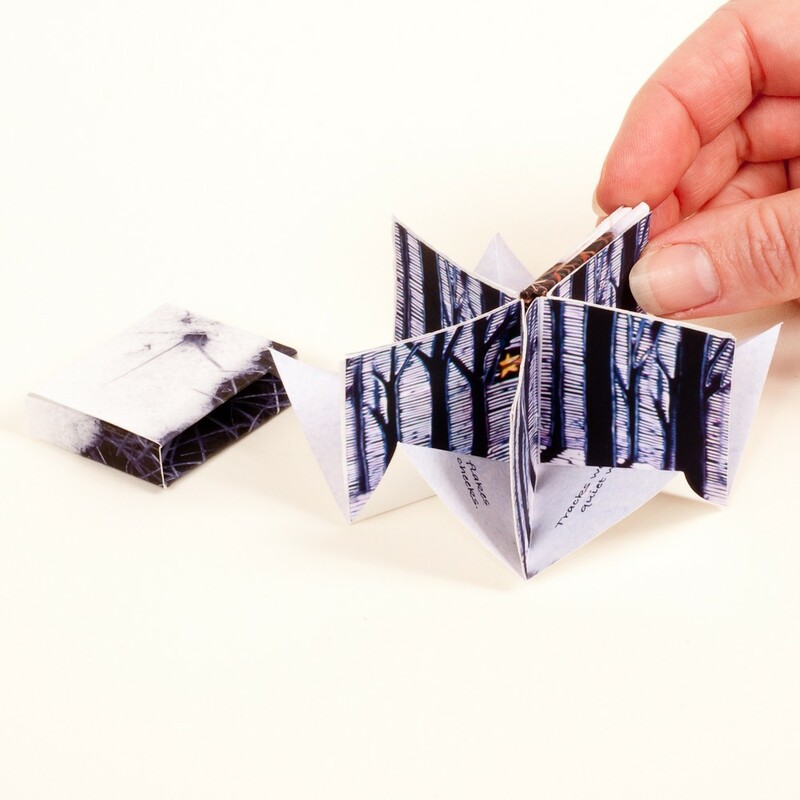 I made this miniature artist book to embrace the snows of March. The digital images inside the book are based on one of my original linocuts about the peace of the woods at night called, "Forest Bedroom." While the wind may be cold, it can be quite magical to walk under the moon through the trees on a snowy night. Camille's offers her handmade artist's books, relief prints and note cards for sale in her shop here. Oo how Lovely! 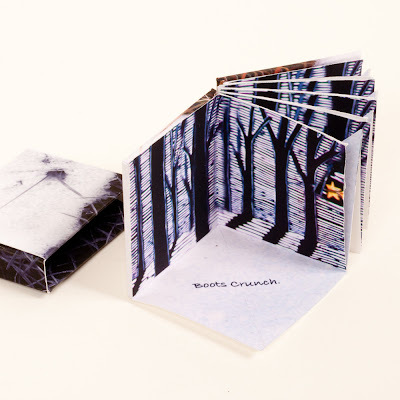 An artist book to keep for always - the recipient will be so pleased! I like how you have combined lino-cut, poem and book form, to create such a great little piece of art. Gorgeous! Yes, March is very unpredictable here too! The imagery is so beautiful and evocative, I can see the shimmering snow and hear the crunching of the snow!